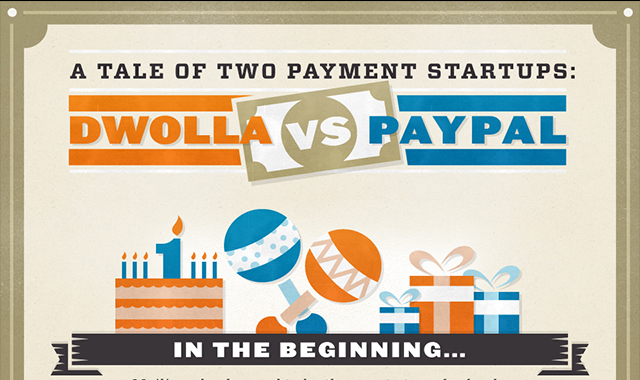 A Tale Of Two Payment Startups DWOLLA VS PAYPAL #infographic ~ Visualistan '+g+"
Transferring funds online is SO much easier than mailing a check. But with a few different choices out there to move your money, it’s hard to choose what what service to use. We decided to look a little deeper and compare Dwolla vs PayPal, two payment startups with two different tales. Looking at factors like fees, international availability, limits, and mobile access, we made it a little easier to decide which service is the one for you.